The Zone 3 Meeting was held at Swarthmore College on April 8, 2017. Our chapter organized a website (swarthmoresps.wordpress.com/2017-zone-3-meeting/) to aide in communication with chapters interested in attending. Members from the chapters at Swarthmore College, Grove City College, University of the Sciences, West Chester University, and Haverford College attended the meeting. A total of 34 students were in attendance. The meeting opened with a welcome from the Swarthmore chapter president, followed by an opening talk from SPS president Dr. DJ Wagner. Dr. Wagner focused on the benefits of joining the national organization. She spoke about the opportunities to join multiple academic organizations through an SPS membership. The opening talks were followed by student presentations. 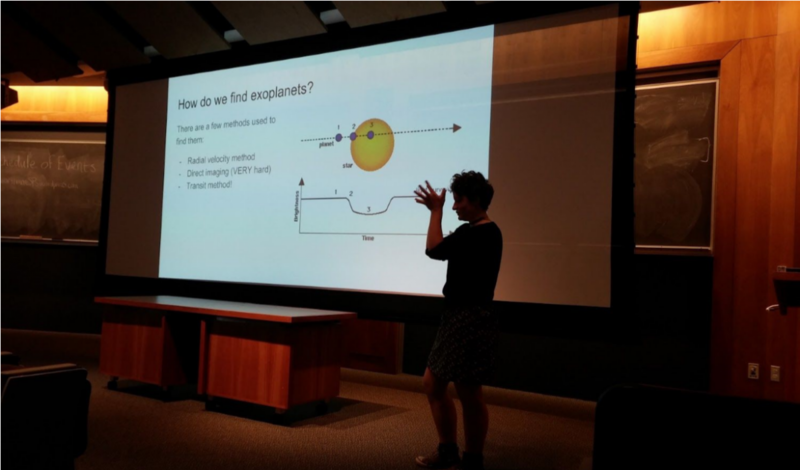 Only Swarthmore students were interested in giving talks, but a range of topics in Physics and Astronomy were covered. 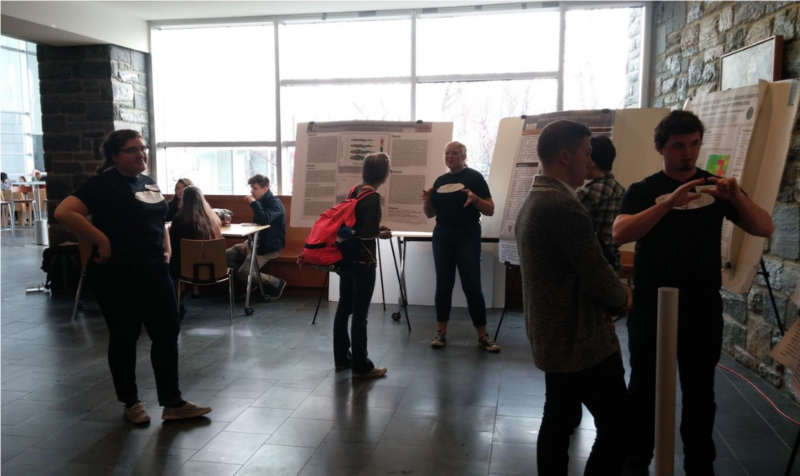 Students from Swarthmore and West Chester University also presented their work in the poster session, where a range of snacks were served. Many of these were home-baked! These student talks were followed by two presentations by our keynote speaker, Dr. Roberto Ramos of the University of the Sciences in Philadelphia. Dr. Ramos began with a talk about his research and, after a short break, followed up with a presentation focusing on outreach. He spoke of the opportunity to participate in a wide range of outreach opportunities through SPS including outreach through a summer camp for young girls and outreach specifically targeting those interested in medicine. Lunch was catered by Swarthmore College’s dining system, and the workshop on resumes, CVs, and cover letters was organized by Swarthmore’s Career Services Center. Our chapter’s Vice President, Luke Barbano, also organized a well-attended workshop on Python. Further participation from Swarthmore included the non-academic life after undergraduate school. Swarthmore’s Dr. Michael Brown (who has helped many students into industry), a third representative from Swarthmore’s Career Services Center, and Dr. Wagner all participated in this panel. Our fourth panelist, Jake Neeley from Swarthmore’s Class of 2013 who now works at Gamalon, had to cancel his plans a few days before the meeting. Our graduate school panel consisted of Dr. Brown, Dr. Kathryne Daniel of Bryn Mawr College, Zach Li (Swarthmore ‘16, now at Princeton for Astrophysics), and Peter Weck (Swarthmore ‘15 and our former SPS President, now at Johns Hopkins for Physics after taking a gap year). They spoke about transitions to graduate school, the GRE, how to ask for recommendation letters, and the variety of paths many people take to get to graduate school. Our meeting concluded with a pizza dinner, followed by physics-themed jeopardy organized by the Swarthmore officers. 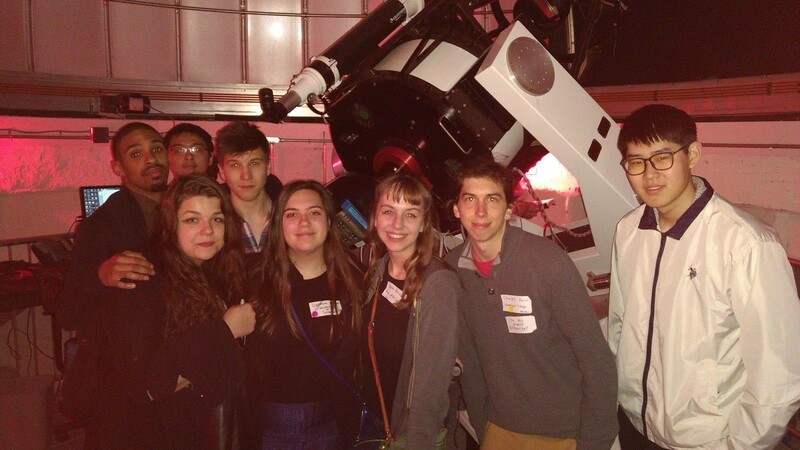 After this, we went to the roof of our Science Center to observe the Moon, Jupiter, and the Orion Nebula with the guidance of Swarthmore junior Kira Simpson and concluded the meeting officially around 10:30 pm.